1. "Santa is a Leeds fan"
Santa is a Leeds fan right? Fans will soon be decked out in this headgear of choice when attending those cold winter games in the run up to Christmas. Thors Tipi is returning to Leeds in time for the Christmas festivities later this year. 'It returns to Victoria Gardens on November 16 and runs until December 31 featuring a bar, wooden seats on, cosy furs and an open fire pit. Beer? German sausage? waffle anyone? 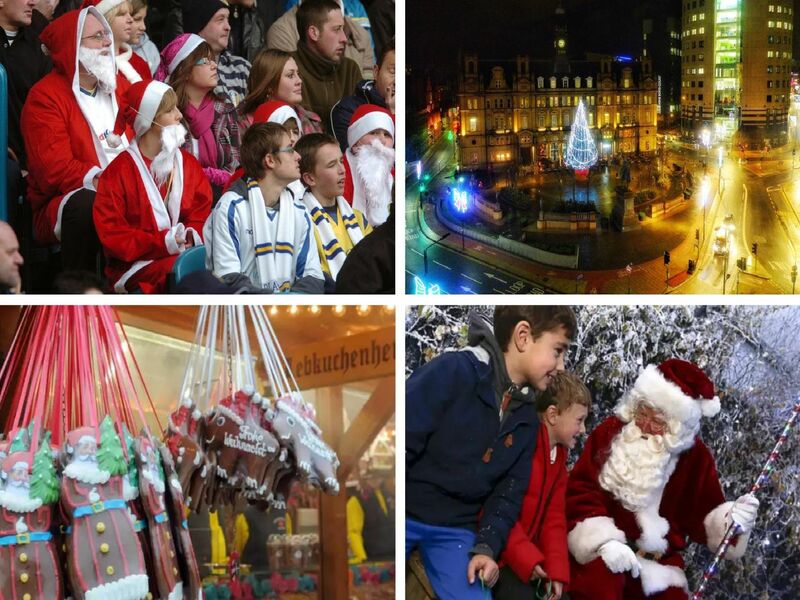 'The Leeds Christmas Market is back at Millennium Square until Saturday, December 22. Lotherton Hall's Christmas Experience is a popular draw. It features a very special North Pole, where children can help Santas elves in their workshop, as well as visiting Father Christmas himself to share their wishes.